Cedar is the All-American Classic. It is light, strong, beautiful, and naturally resists decay. Cedar has several advantages as a decking material. The oils in its heartwood make it rot proof for years. It is dimensionally stable and does not swell or shrink much, so it behaves better on your deck. The flooring stays flat and will not cup; rails remain straight and will not twist. It resists splinters and checking. And its warm colors are attractive: reddish brown to pink heartwood and yellowish sapwood. And, best of all, it really does grow on trees. But cedar is a softwood. Which means that it will scratch easily and is less durable than hardwoods, like mahogany or ipe. So, it is not a good choice for families with active children or pets. Some types of cedar are harder than others — Let’s take a look. Western Red Cedar is the most plentiful decking cedar and is available in several grades: “A+” (that is, A and better) is a clear, gorgeous wood that is knot-free. It’s also “not free” – expensive that is. At almost $5.00 per linear foot, A+ cedar is the most expensive decking of all, more costly than mahogany and ipe and more costly than any artificial, low maintenance decking. D+ cedar has small knots and a much lower price. Western Red is also available in STK, “sound tight knot” grade. The numerous knots in STK are the size of nickels and quarters; they increase the durability and lower the price. Recently available, Inland Red Cedar is an especially good value in the knotty grade. It has the decay resistance of other cedars and a warm, attractive appearance – if you like knots. At a price just slightly more than pressure treated pine, it’s less expensive than any other decking. Port Orford is a harder, smooth, finely grained white cedar, in clear and knotty grades. These features make Port Orford expensive, but so does its scarcity. It grows only in northern California and Oregon and is often difficult to find on the east coast. So overall, what’s your preference? You’ll pay dearly for any cedar decking that is clear. Knotty cedar offers good values, if you do not mind the knots. 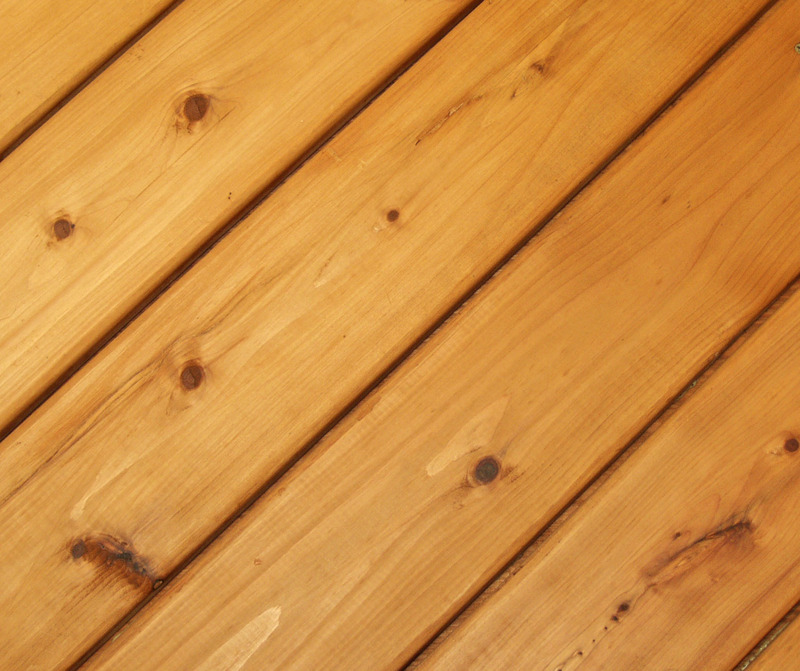 Still, cedar’s softness is a real limitation for deck flooring, where feet, furniture, and pet claws easily cause damage. If you really like cedar (of any type) consider it for rails, where its softness is not an issue and it’s grain will keep members straight and joints tight. And use a hardwood for your deck floor. My next blog will introduce you to a low maintenance wood. Really. We at Archadeck of Suburban Boston offer professional design and build services for clients west and north of Boston. Over the past 21 years we have designed and built over 700 projects. We have enhanced the depth of our expertise by limiting our work to decks, porches, and sunrooms. To view some of these projects, visit our website. To learn how we treat our clients, check on us at Angie’s List or read a recent article about us in Remodeling Magazine.For a free design consultation and a relaxed and rewarding design and construction experience, contact us via e-mail, subboston@archadeck.net or by phone, 781-273-3500. PreviousIs Mahogany too expensive for your deck? NextLow Maintenance Wood for your deck? Really? Good information on cedar. But, when you mix woods such as cedar on railings and other types of wood on the deck, is it noticeable even after staining? If you do use a mix of woods and want cedar for the railings, is a certain type of wood for the deck preferred over others for esthetic purposes? Good question, Scott. Using the same semi-transparent stain on different wood species can make them the same color, or almost the same color. Grain differences will show through, but the differences will be muted. On balance, the two woods will look very similar; the differences will be noticeable only by a trained eye from ten feet or less. One cautionary note about preservative stains: Hardwoods like mahogany and ipe are dense and require special stains that penetrate their tight grain. If your deck mixes mahogany and cedar, use the hardwood stain on both; it will be fine on the softer cedar. Do not put a softwood stain on hardwood; it will not penetrate and can flake off over time. Cabot makes a great preservative stain for mahogany and other hardwood that works on softwood too: Australian Timber Oil.